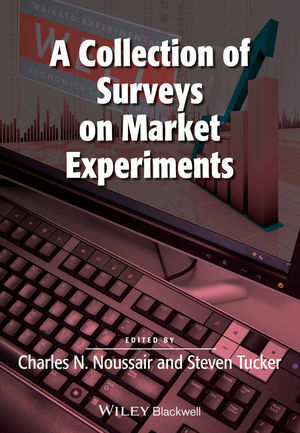 Comprised of 10 surveys by leading scholars, this collection showcases the largest and fastest growing strands of research on market behaviour in experimental economics. Charles N. Noussair is Professor of Economics at Tilburg University, the Netherlands. He specializes in experimental economics and his research uses an experimental approach to study individual choice, collective action, markets, auctions, macroeconomics, and international economics. Steven Tucker is Founder and Director of the Waikato Experimental Economics Laboratory, a state-of-the-art research facility, and Senior Lecturer in Economics at Waikato University, New Zealand. He uses experimental economic methods to study research questions in a range of areas of economics such as industrial organization, financial economics, and macroeconomics.